Hey, Samsung Pay is now available in Spain! Outside of the US, Korea, and China, this is the first new market (and first in Europe) to get access to Samsung’s best-in-the-business mobile payment app, so that’s kind of a big deal…if you live in Spain. 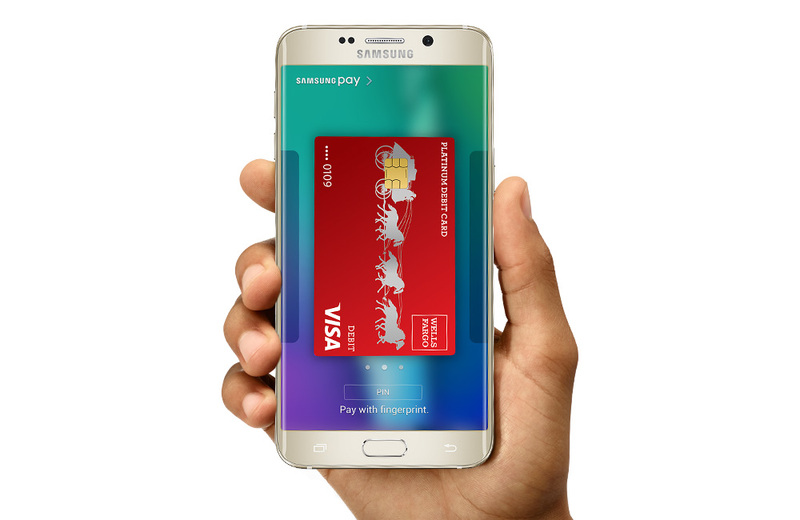 To start, Samsung Pay will be eligible for use with cards from CaixaBank and imaginBank, and should hit Abanca and Banco Sabadell “soon.” As for supported businesses, customers will be able to use Samsung Pay at contactless terminals all over the place, but Samsung says that it is working with brands like Cepsa, Cervecería La Sureña, Domino’s Pizza, El Corte Inglés, Fridays, Ginos, Grupo DIA, and Starbucks to add more value. You’ll notice that I didn’t say anything about Magnetic Secure Transmission (MST) and paying everywhere. That’s because Samsung doesn’t mention it in their press release, which could (and likely does) mean that this initial rollout is NFC-only. Europe, in general, is much more mature in its contactless setup, so there may not be a need to utilize MST or get approval or certification or whatever is needed to make it active in countries like Spain (or the UK).